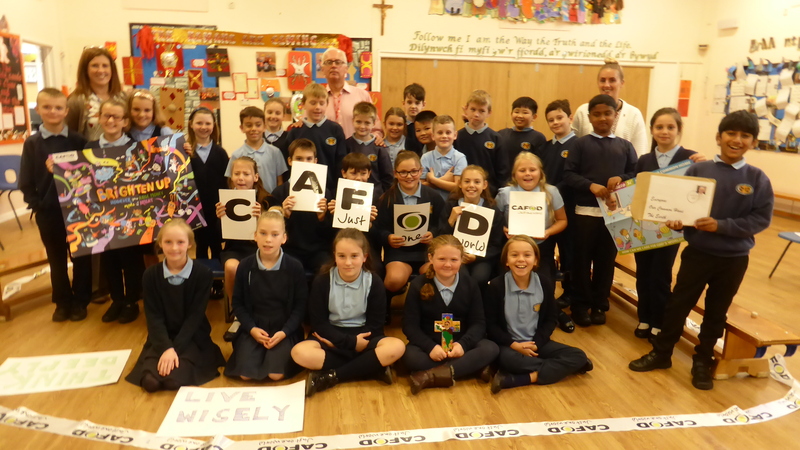 Over the past few weeks, many schools from across the Archdiocese of Cardiff have been taking part in CAFOD’s Brighten Up for Harvest appeal. Sadly, due to poverty and injustice, this harvest will not be bright for millions of children and young people around the world who will miss out on food, clean water and even on going to school. But support from our Catholic schools is helping to change this and help to make the world a brighter place for communities living in extreme poverty as they find ways to overcome their many challenges. Autumn, the wonderful season of mellow fruitfulness, has seen our dedicated team of schools volunteers visiting schools across the Archdiocese. We cannot thank them enough for their enthusiasm and commitment to supporting our vision for change and our agenda for action. At Harvest time, we celebrate and give thanks for the food we have.